What made you go into this kind of field/study? At the year 1995, I experienced dreams with sacred geometry symbols as jewelry. I have seen some of the designs I have today back then. 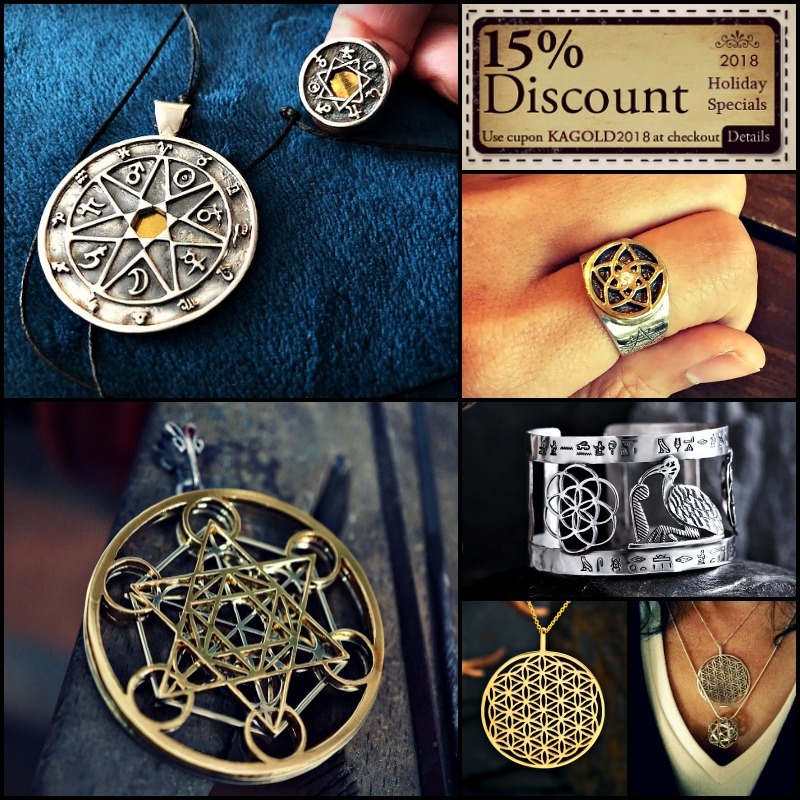 Symbols such as the flower of life, Merkaba, Emerald tablet, rings and more. For me, it was a fulfillment of my destiny. In the year 1998, I started making the Merkaba and other jewels. The responses from people were awesome. People told me it made a huge change in there lives so I decided to continue. My inspiration comes from the reality of my day to day life. Having a dream. Someone saying something to me. An insight I get about life. A song I heard or book I have read. What kind of feedback do you get from your clients? I get really amazing feedback. People write me emails, letters, send me gifts and contact to ask questions about things that happened to them after wearing one or more of my designs. The feedback I get from people gives me the inspiration to continue and search for more ideas and models that can help people and give them hope. I like things that grow, animals and ancient history. I am very much into antique cars and I am a wasted guitar player… I have designed a guitar which became the base model of B&G guitars line and sold in thousands to all over the world. Do you think Jewelry has the power to change one’s life? I certainly think that if used correctly, a piece of jewelry can bring wonderful insights into one’s life. It does take a joint effort of both the artist and the wearers to focus the right intentions for the right person.